The new 2018 Farm Bill is upon us, and it has many growers wondering how it will impact the federal legalization of hemp and CBD. The previous farm bill, signed by former president Barack Obama in 2014, allowed hemp to be grown in certain environments, such as college institutions, provided it was used for research purposes under the state departments of agriculture. The hemp couldn’t contain more than 0.3 percent THC by weight and, curiously, hemp remained on the list of illegal substances. Here are some changes to the newest farm bill rendition. While the previous farm bill kept hemp illicit, the new farm bill contains wording that takes hemp off the CSA drug list. Furthermore, the definition of hemp has been expanded, and it now includes CBD oil, CBD water, hemp oil, seeds, salts, extracts, and acids. Gone are the days where hemp farmers had no way to protect their crop. With broader legal protections in place, hemp farmers can obtain insurance on their plants to protect against damages. With the 2018 Farm Bill, more people than ever can grow hemp. Of course, you must be of age and possess the proper licensing, but producing CBD and hemp water and oil is now accessible to people outside the realm of research. 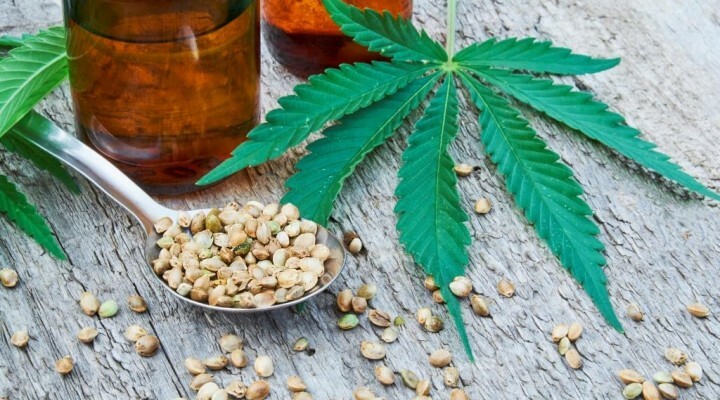 While the 2018 Farm Bill has broadened the federal legality of CBD and hemp production, it’s still important to research into the laws and regulations before you start growing hemp. Licensing requirements vary by state, so do your research before investing in a grow system. Just 4 Life Products offers CBD and Hemp based products such as CBD Oil and Hemp Water. CBD has been shown to have many health benefits. Disclaimer: Just4LifeProducts does not claim that its products will improve any health conditions, so you should make your own judgment based on available info and research. ← Is Massage Therapy Worth It? Are Contact Lenses Good for Sports? Is Massage Therapy Worth It? Copyright © 2019 Taste For Health - Read about Health & Stay Healthy.